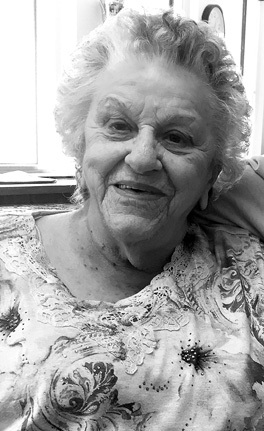 Josephine Carmella Carter, a lifelong resident of Lock Haven, died on Monday, March 11, 2019 at Haven Skilled Nursing & Rehabilitation, where she had been a longtime resident. She was born on Nov. 17, 1922 and was the last surviving member of 11 children born to Antonio G. and Carmella Caputo DelGrippo, early immigrants to Lock Haven, from Colliano, Italy, in 1905. Josephine graduated from Lock Haven High School and was a member of Holy Spirit Parish, attending St. Agnes Catholic Church. She married Charles D. Carter, Jr. in 1941, and was with him until his death in 2007. She is survived by one son, Gary L. Carter, of Sun City West, Ariz.; two granddaughters; and two great granddaughters. Private services will be held at the convenience of the family. Arrangements are under the direction of the Moriarty Funeral Home & Crematory, 112 E. Church St., Lock Haven, Pa. 17745.